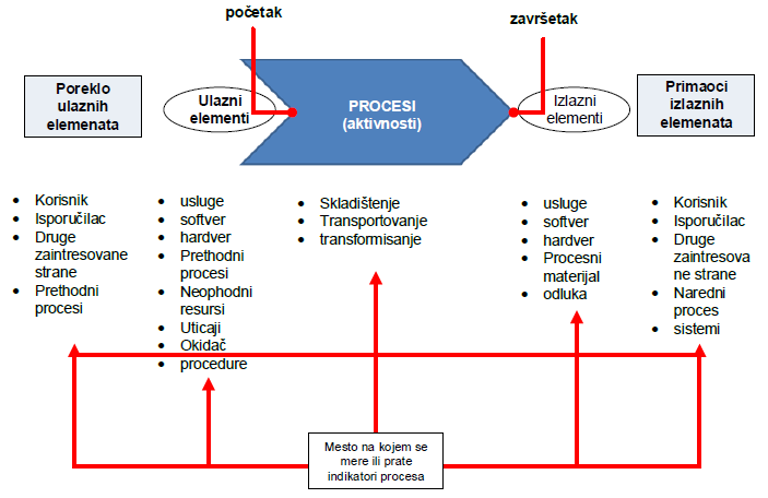 IMPLEMENTACIJA PROJEKTA USAGLAŠAVANJA SA ZAHTEVIMA ISO 9001 U VAŠOJ ORGANIZACIJI!! 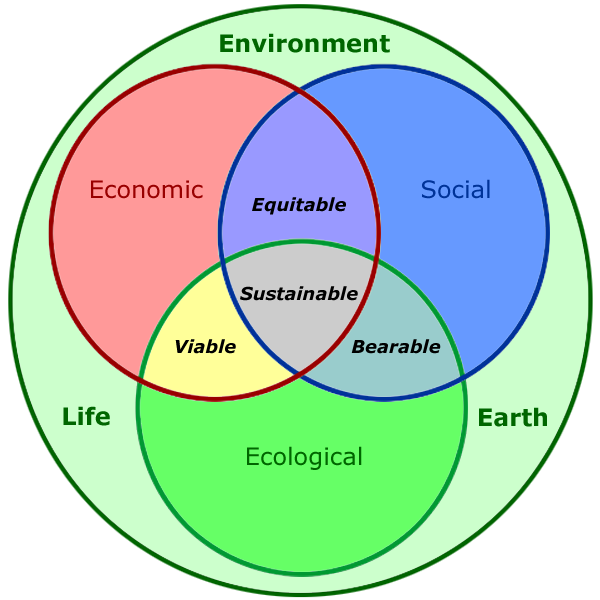 The pivotal role of quality management systems as a basis for the economic growth component of the sustainability agenda has often been overlooked, with attention in recent years being focused on the more topical elements of environmental integrity and social equity. 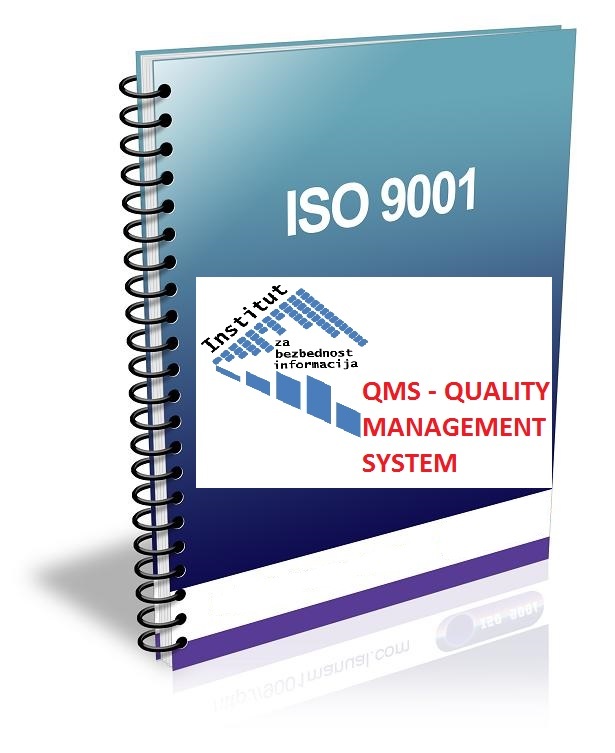 ISO 9001 specifies the requirements for a quality management system for product or service organizations. Establishing a QMS is the best way to demonstrate your organization's ability to consistently provide products or services to your customers and meet statutory and regulatory requirements. 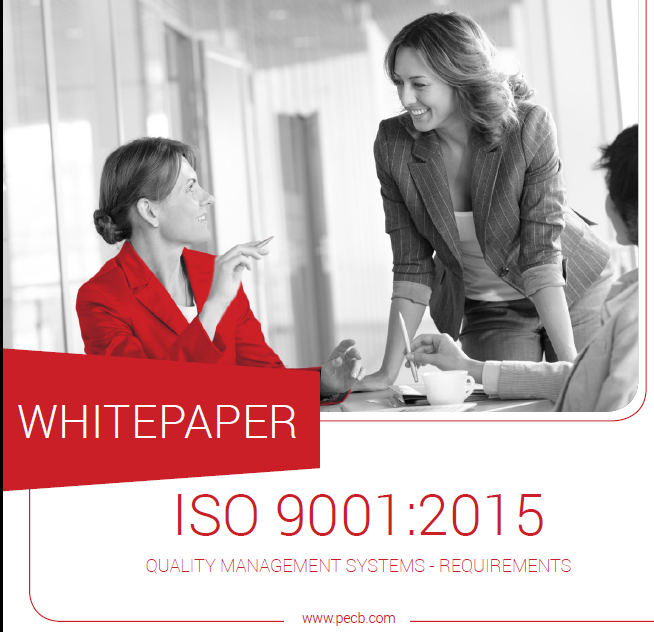 ISO 9001 is for all organizations, regardless of type, size, products or services provided. Many governmental and public agencies such as, education, healthcare and police departments also implement ISO 9001 quality management systems. 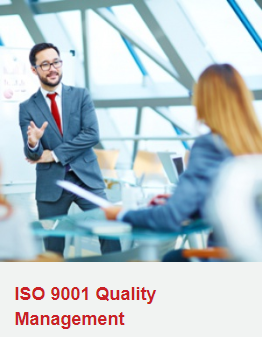 IST understands how to design, develop and implement ISO 9001 certification ready quality management systems from the bottom up to meet ISO standards. 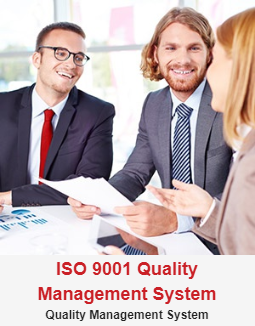 If your organization has existing management systems, we will help you integrate ISO 9001 into your current system(s). 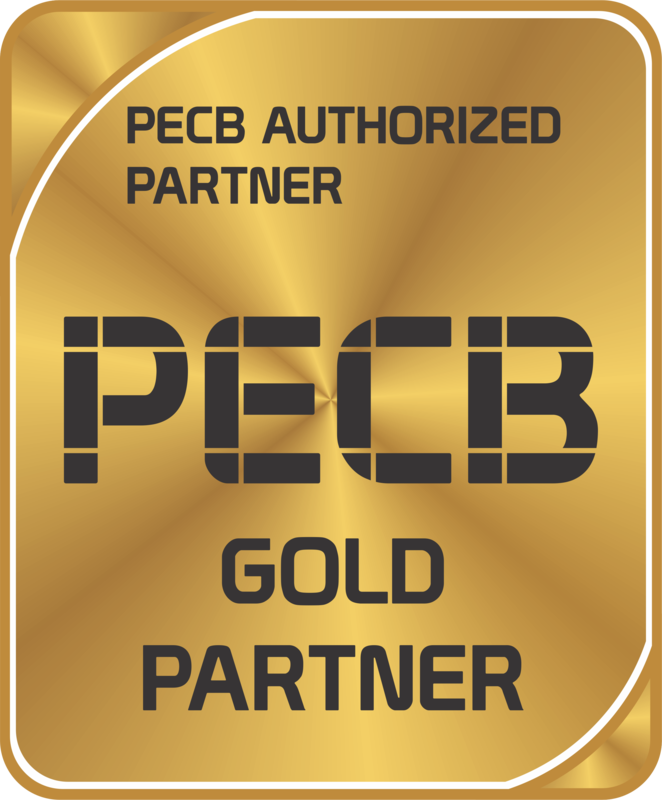 We can guarantee your ISO 9001 quality management system will get certified by accredited ISO certification bodies. Our trained and experienced management system consultants will assist your organization in designing, developing, and implementing your ISO 9001 quality management system. 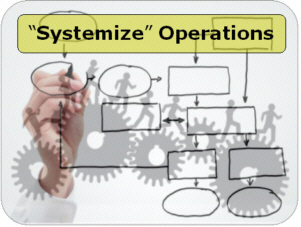 The Deming cycle follows the process approach, which allows the QMS management systems implementation process to use the requirements and the expectations of the stakeholders as inputs, understand how it produces these requirements with the necessary actions and processes, and also verification of the management system results. 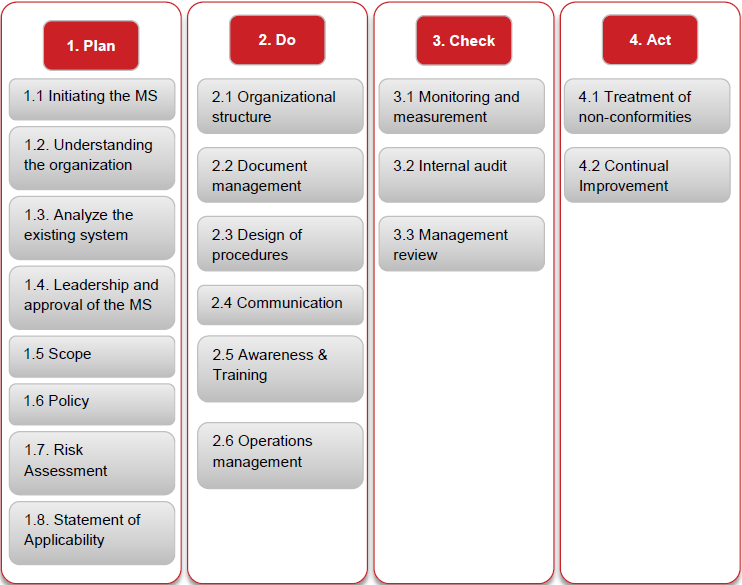 The table shows how each clause of the QMS management systems can potentially be implemented by following this structure. 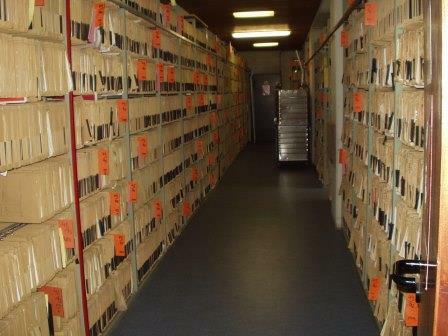 This structure includes mainly the requirements that are generic and existent in almost all the management systems. However, it should be adjusted based on the ISO 9001 standard that the organization is implementing and include additional clauses as necessary. 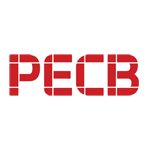 If you need help getting started in IST with PECB training for Certified ISO 9001 Lead Implementer and Lead Auditor follow the link below and contact us to begin with the first step. ISO 9001 Implementation and Certification is not just suitable for large organizations but also for small businesses. Your organization will benefit from adopting an efficient Quality Management System by saving time and cost, improving efficiency and customer relationships.